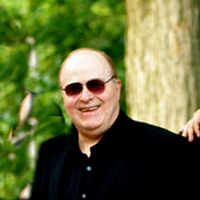 Lou Caputo, a native of Williamsburg, Brooklyn, has been a professional musician for over thirty years. He has done almost every kind of job that a musician can be asked to do. A multi-instrumentalist (saxophones, clarinets and flutes) he has performed in show bands with the likes of Lou Rawls, Frankie Valli, Shirley Basey, Jack Jones, Bobby Short, Frankie Avalon, and a host of others. As well as the many of the famous Motown acts like the Temptations and the Four Tops. Aside from this he has performed along side of Salsa legends like Candido, Bobby Sanabria and Lou Perez. Recently he has performed on Harry Connick's latest album "Your Songs". However, playing jazz is really closest to Lou's heart. He has had the opportunity to perform with people like trumpeter Richard Williams, pianists Duke Jordan and Jaki Byard, drummers Walter Perkins and Mousey Alexander (in his short lived big band) vocalist Joe "Be-Bop" Carroll and Dakota Staton, bassist Chris White (including a Carnegie Hall appearance). He has spent time in the Glen Miller band under the direction of Clem DeRosa as well as the Harry James big band .He has had the good fortune to record with jazz legend Dr. Billy Taylor on guitarist Ray Rivera's album Night Wind. Lou has had the pleasure of performing in the Richie Cole octet .An other high point is having had the chance to play Birdland with the Ellington band under the direction of Paul Ellington and Jack Jeffers. Through the years Lou has appeared in many of the areas leading jazz clubs as both a leader and side man. He also played for former President Bill Clinton on the occasion of Clinton's 50th birthday. Along the way Lou had the opportunity of studying with some of the finest teachers that the New York area had to offer. Starting with his first saxophone teacher Eddie Meyers who was the lead altoist with the great Stan Kenton Orchestra during it's heyday in the mid-forties who appears on such classics as "Eager Beaver" and "Intermission Riff" quickly followed by a long stretch of study with Frank Foster who needs no introduction to jazz fans. Perhaps his most influential teacher was the late Harvey Estrin who exposed him to the wider world of classical music and refined his approach to the clarinet and the flute in particular. Another person who helped broaden Lou's scope was the legendary Baritone saxophonist and woodwind expert Danny Bank. In the process of earning a bachelors and masters degree in Music from CUNY through the Local 802 program he had additional instruction from Albert Regni, Simeon Loring and Laurie Freedman as well. In 2003, Lou released his first CD Urban Sill Life to a positive response from the press and jazz radio disc-jockeys around the country. In fact "Urban Still Life" was numbered among the top 100 jazz cd's in regard to air play nation wide .Currently; Lou is leading an eleven piece group he likes to refer to as the "Not So Big Band" which appears regularly at The Garage. The group features great New York musicians like Howard Johnson, Bill Crow, Jon Eckert and Virginia Mayhew to mention a few. The group just recorded their first album called "Not So Big Band". Aside from that, he can be heard with his own Quartet, as well as a member of the big bands of Howard Williams, Jack Jeffers, Joe Bataliga and the Ellington Legacy Band. Lou also plays in Howard Johnson's " Bear Tones" which is his 5 baritone sax band.